Recently, the Province of Cebu specifically at the western Cebu - the town of Tuburan experience a Typhoid Fever outbreak that peaks at 999 patients according to the Integrated Provincial Health Office of Cebu. Typhoid Fever is characterized by fever, headache, stomach ache, distended stomach, joint pains and lack of appetite on infected patients. Typhoid fever is caused by the bacterium Salmonella Typhi contained in food or beverages prepared by a person infected with it. It was later concluded that the cause of the spread of disease is mainly caused by poor hygiene, improper to less washing of hands and contaminated source of drinking water. "Prevention is better than Cure". The community is the prime responsible to their nutrition. They are the first defense because it is primarily for their own good. I believe citizens in the community can work to prevent this outbreak from happening, now, where should the Ideas and Planning should came from? This is where the Youth came in - our college students who are most capable of shedding ideals and vision for a healthy community. The Youth is not alone in "walking the talk" from their ideas and planning. The Unilab Ideas Positive, a game-changing social marketing congress and competition for College students in the Philippines aims to improve health and wellness of Filipino communities with their social marketing ideas. This is how it goes, 15 communities Nationwide will be the beneficiary of the social marketing programs by 15 youth teams with P100, 000 seed money for the implementation of their ideas. The youth groups will also be flown in to Manila, with free hotel accommodation, meals, and transportation, to attend a 3-day boot camp where they can learn social marketing approaches from a pool of experts through workshops and case studies. 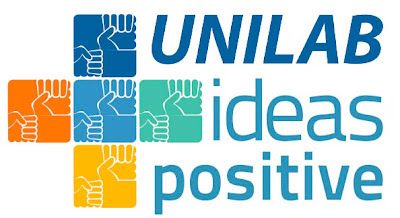 Interested college students can join by teaming up and registering at www.unilabideaspositive.com Deadline for submission of entries is on April 16. 0 comments: on "Unilab Ideas Positive Competition for the Youth for a Healthier Philippines"